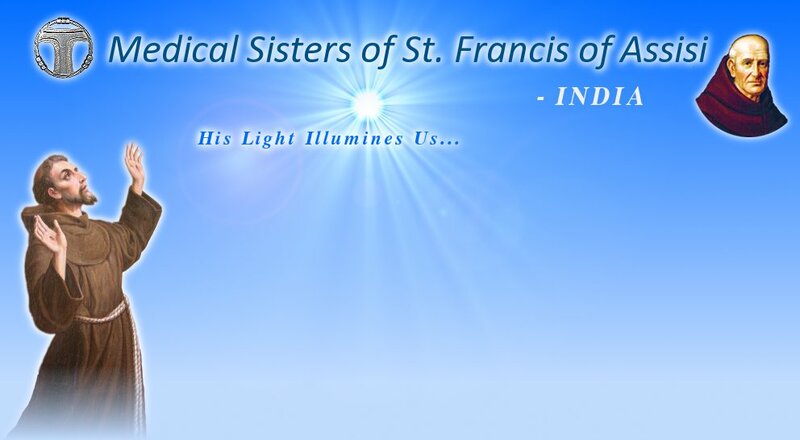 As Franciscan Sisters we are committed to the unfinished mission of Jesus. St.Francis’ encounter with the leper is the inspiration for our life and service. In this spirit we witness God’s presence in the world in all spheres of our life and become a vital healing presence after the example of our founder. We infiltrate into our society as teachers, nurses, doctors, lawyers, catechists, pastoral workers, social activists. At the heart of our mission is our commitment to the poor through health care, formal and non formal education, village apostolate, reach out programmes, counselling, parish animation of liturgy, BCC and family visits. In order to be more effective in our ministries we adapt to the needs of time and place. We provide opportunities and encourage those who collaborate with us to understand and incorporate our vision and values in their daily activities.